Wishing you the happiest Festival of Neggs! With a new year comes a new season of Daily Dare! Whether its AAA, Chadley or Abigail, if you're anxious about beating any of their scores, fear not! We have handpicked a list of games, all of which were featured in past Daily Dare challenges, to develop your gaming skills. No matter how high their scores are this year, after a few practice sessions you will be ready to take on whichever opponent comes your way! Well, what are you waiting for??? get your Gaming Wigs on and practice!!! If you’ve read some of my former articles, you might have stumbled across The Best Robot Petpets, a piece I wrote highlighting a specific subcategory of Petpets. 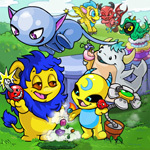 Now, Robot Petpets might be cool, but why bother focusing on just them? 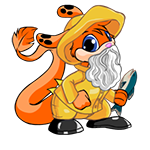 As covered in the former, more exotic Petpets often go overlooked for those within reach of Neopia Central. When pondering what other varieties I should cover, one came to mind. So, in homage to my Desert Moehog Roheit, I present to you: The Best Desert Petpets. In no particular order. When you get your invite to the annual Chocolate Ball, you will surely feel elite, because not everyone gets one! You should feel very honored and special if you manage to get an invite. It's always the talk of the high society, since only about a hundred invites are passed out every year. And in the recent years, fake invites are being sent out by random Neopians who think they are trying to be funny or prank others. You'll know the real invite by the seal, though. It's made of pure dark chocolate. It is usually also signed by the Kiko host and written in dark chocolate ink, that vaguely smells of mint (raspberry if you made it into the VIP list). The envelope is made of white chocolate, with golden intricate lettering. Look for the signature, as well. The Kiko host's signature is known by the white chocolate crumbs he decorates his signature with. If your invite matches the description, you are ready to attend the ball! Zoe stood in line at the Neggery awaiting her turn. When did Kari start filling orders alphabetically? Zoe was the most impatient of Ixis and being last was more than she could stand. She reviewed her list again. She needed so many Neggs for the Negg hunt and the donations the last few weeks were pretty low. Hopefully there were enough Negg tokens banked so she could get a few of the highly sought after Neggs as well. Cool Neggs were out of the question, along with Super Neggs and Spiked Neggs. But, perhaps a SNegg or Silver Knight Negg along with some of the more common Neggs would be a good option. Letting out a sigh, she began thinking of how she became chairpet of the Negg Hunt Committee. It was Angela’s fault. Zoe’s mother always warned her about sneaky Xweetoks. Building up the pleasure of the hunt, talking about the prestige and glory of being in charge and the clincher, all the lovely Neggs that collectors would be clamoring over for their galleries. Only the collectors didn’t want the Neggs from the Neggery. They had those. No, she had to go to the marketplace and haggle, push, shove, and even fight for Jelly Neggs and Easter Neggs. But she didn’t get any! So here she was at the Neggery, desperate for dozens of Neggs. "Oh, no..." The Snowglobe Staff decides to simply not work this battle. After all, how does a Yellow Snowball help her? Where is the snowball? There must be something else, right? The Jade Elixir? Gone. Thick Smoke Bomb? Disappeared two turns ago. Turned Tooth? She defends it with ease. Finally, the young Acara looks up at her, those pink wings fluttering so gracefully, that smug smirk so condescending. She knows - there are no more tricks left. Not in this fight. "Don't you think this is getting old by now?" She taunts in that familiar voice - a friend turned enemy. The Boss. "You never stood a chance." Spotting the Grapes of Wrath in view, she can see this tussle is nearing the end. Even with her Downsize in use, there's no chance at winning. 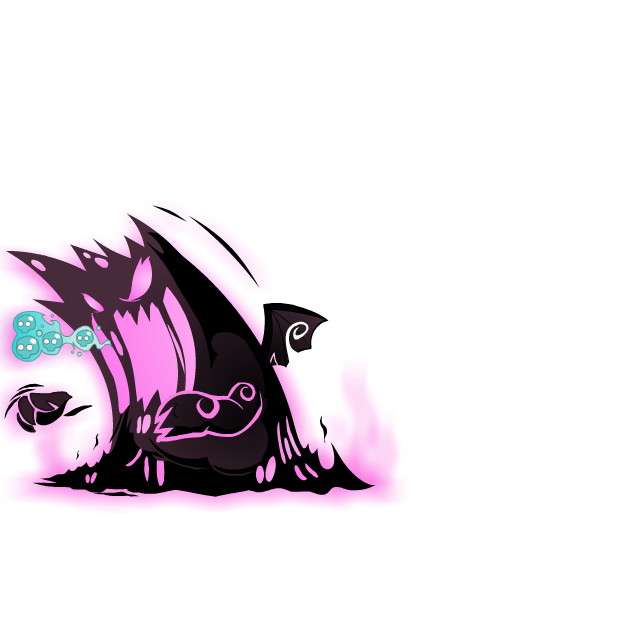 She burrows in combination, avoiding the blunt of the fire attack while still suffering a significant amount of damage. Not that getting dirt in her fur is her favorite pastime, but it works. For now. No options are left. She only has 5 weapons left - weapons that Kaia can all defend against. She has no choice but to accept her defeat, once again at the mercy of the Wand of the Dark Faerie.ZAP! *~*~*~*~*~*~* 'I never stood a chance...' A heavy sigh escaped from the lips of a tattered Grey Acara as she stumbled out, dazed, of the Forgotten Graveyard backgrounds. "After all this, we've finally completed the Secret Laboratory Map," said Lilly as she walked with her twin sister Milly back to their house. "We lost out on a great deal to that Lutari, and then we lost a huge chunk of our savings due to some bad gambling, but with enough hard work and skilled gaming we were able to get all the money we needed together. Good job sis, we did it!" "I am so excited to see this laser ray thing in person, I've heard so much about it," replied Milly. "I'm so proud of us for achieving this. Next stop: we can finally match colours and be Woodland!" The two opened their front door and walked into their bedroom, and pulled down a large wooden box from the shelf. They opened it to reveal the other eight parchment pieces of the map and unrolled them one by one, spreading them out on the floor in front of them and assembling them into the correct order. Last but not least, they placed the final piece of the map in it's place and suddenly all the pieces began glowing and fusing together to create one giant map. "Are you ready Lilly?" Milly stood excitedly in front of this newly unraveled map, that had a direct link to where they had been dreaming of going. All their hard work was finally paying off and they would be able to zap to their hearts' content and finally be a matching pair! This plot step isn't too old, right?? The 9 Kinds of Kad Feeders You Will Meet! As someone who has been feeding Kadoaties for over seven years now, I have met my fair share of interesting people in the Kadoatie chat on Games board.